"Strengthen the National Movement, integrating the local YMCAs, contributing to its expansion and Development also." "Greater presence in the national territory, becoming the principal consolidation agent for extension and expansion of the YMCA movement." "Sharing the good news of Jesus Christ and striving for spiritual well-being intellectual and physical integrity of individuals and communities as a whole." The World Council is the gathering of the global YMCA movement organized every four years by the World Alliance of YMCAs in 2014 and hosted by the YMCA of the USA. During the event, YMCAs will gather to share, learn and build upon the work of the strategy in a new way. 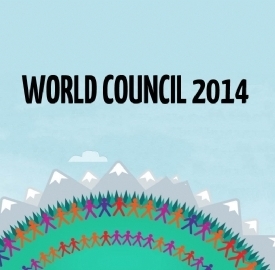 The theme is World Council'' 'Empowering Young. There, everyone will join in the creation of the collective history of the global YMCA. The event will take place from June 29 to July 5 at the YMCA Rockies in Estes Park, USA. Maecenas ut ipsum in velit egestas tempor. Donec pellentesque, orci ut ornare ullamcorper, lectus eros elementum tellus, eu congue enim lectus sit amet massa. Nunc ut justo in quam congue lacinia. Sed a lectus turpis, quis fringilla augue. Phasellus nec felis et nisl eleifend tincidunt ac vel dui. Ut ac dolor ac erat cursus auctor. Maecenas vitae sapien dui. Sed ut lacus ipsum, vitae tempus mauris. Morbi semper ullamcorper ullamcorper. In eu nunc vitae enim luctus bibendum.